Two things that don’t exactly go hand in hand is the Legend of Zelda… and Chess…… Until now! 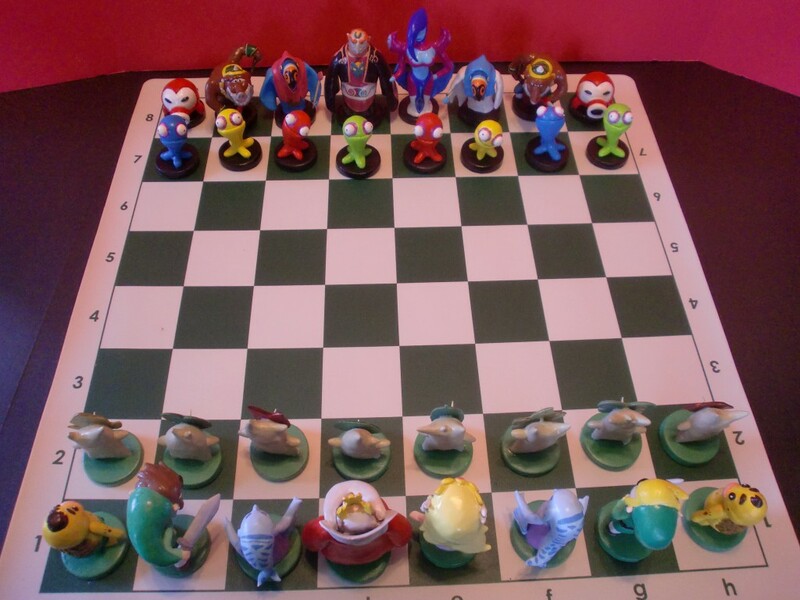 Ben Howard of Fizzman Industries has been working on this custom Legend of Zelda chess set for nearly three months. If you check out his blog, you can see the progress he made during the development of this set. 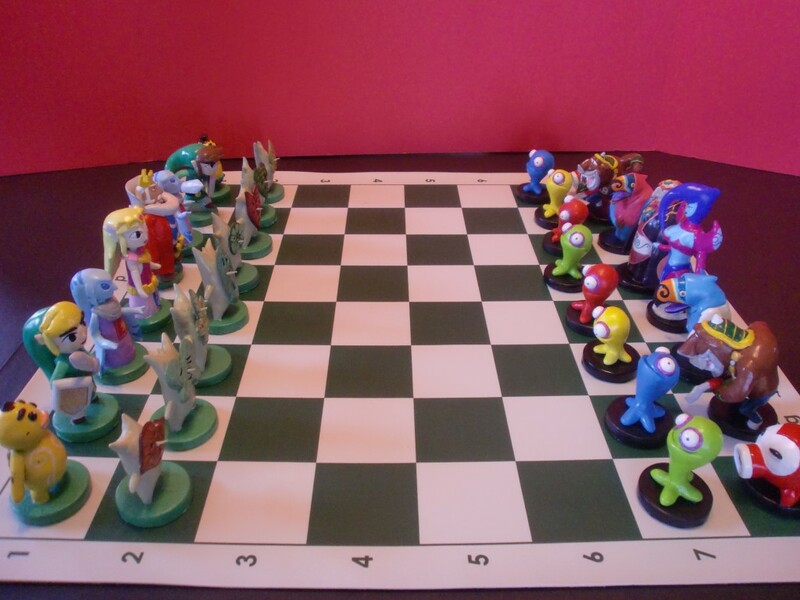 Unlike most chess sets the pieces for the two colors are not identical in this custom made set. Instead, this version puts the good guys up against the bad guys. 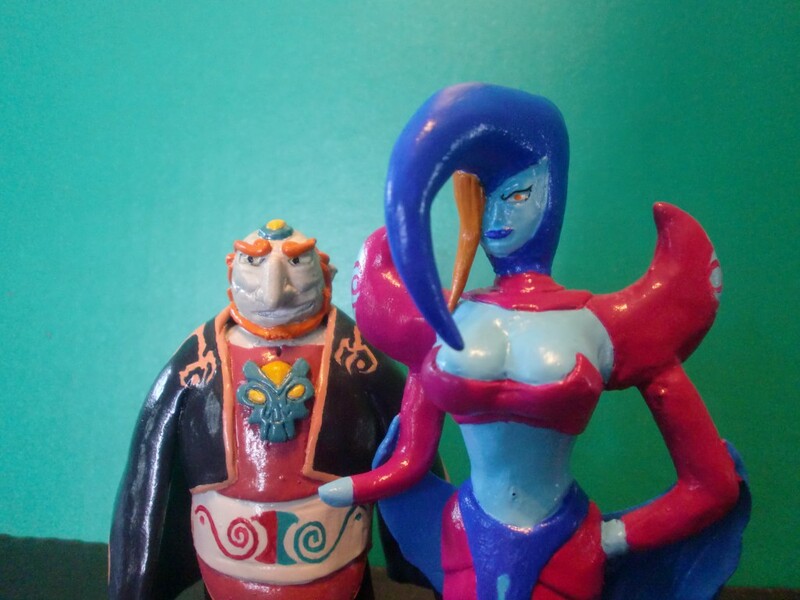 Heading up the good guys is the King, Daphnes Nohansen Hyrule and the Queen, Princess Zelda. 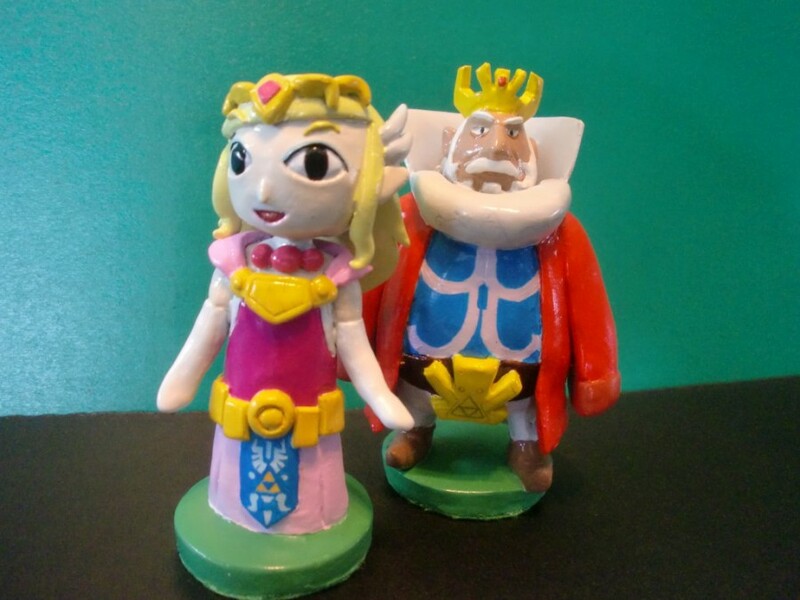 Sounds kind of funny that Princess Zelda is the Queen. The rest of the team is made up of Gorons, Zora, multiple Links, and some Koroks as the pawns. 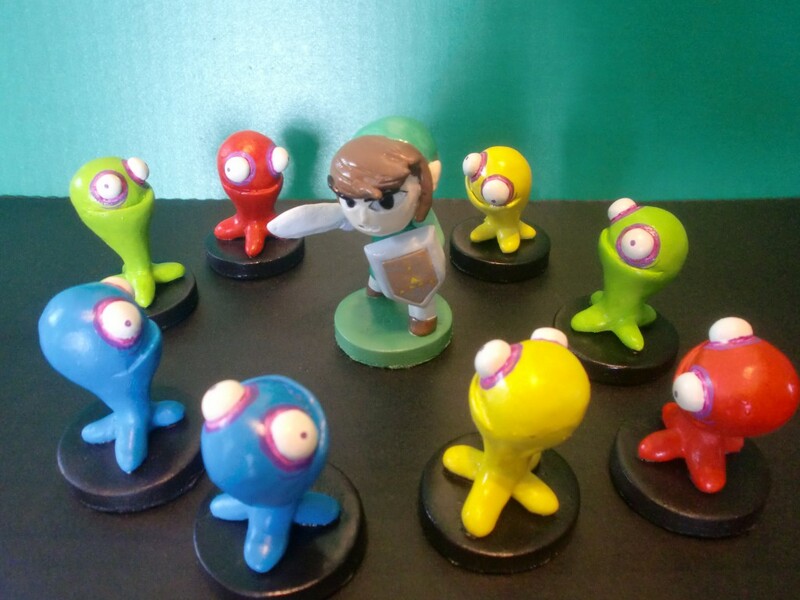 For the bad guys, we have the Evil King Ganondorf, Queen Veran, Wizzrobes, Moblins, Octoroks, and an army of Chu’s as pawns. 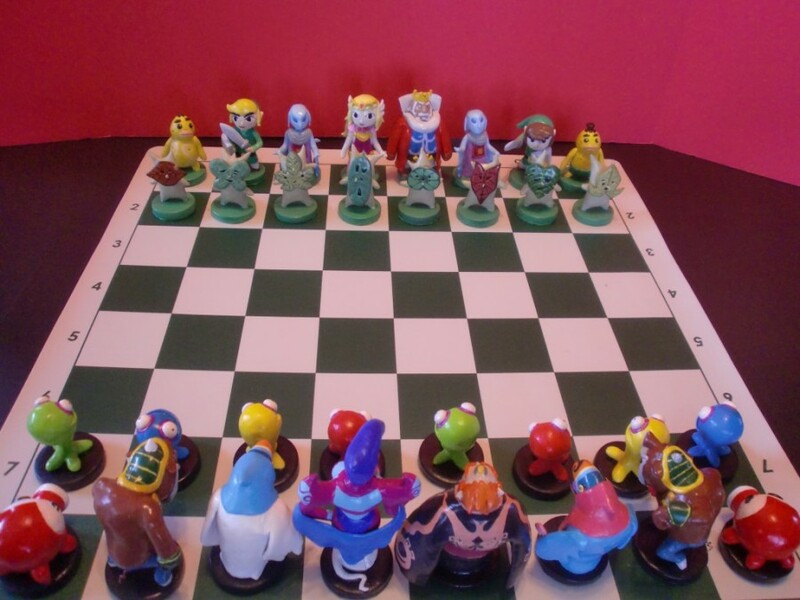 There are nearly 70 images of this Chess Set and you can view them over at his Gallery. Some of these images can be seen below. The level of detail is just astonishing. I’m not sure what something like this would cost, but given the time it took to make it, it wouldn’t surprise me if this was well into the four digit dollar amount. Be sure to post your thoughts in the comments below.